Digital fans have poured love for the iPads ever since they have been introduced. 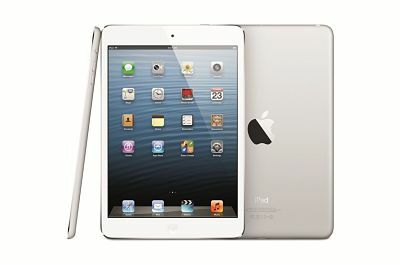 They are a worthwhile grab for the consumers wishing for the portability iPad place before them. With their portable nature, the iPad carry a go-anywhere convenience so checking the Twitter feed, the heap of Facebook posts waiting for an attendance, is a smart job. Given in the easy-to-use feature of the iPad, there is nothing more convincing. Through tapping and swiping in moments, ton of a task can be performed, once well-acquainted to using the iPad. Coming to the functionality of an iPad, it lives up to our expectations but occasionally as natural as it may be, an iPad might complain with a repair. Coming to the functionality of an iPad, it lives up to our expectations but occasionally as natural as it may be, an iPad might complain with a repair. Here are a few tips you can follow when your iPad is throwing a tantrum or you have VRS Technologies, an Apple iPad repair service company providing services with a sophisticated approach. There is one thing that may be concerning about the iPad. In spite of closing the apps they keep running instead. Like even if the music app is closed, it still keeps working in the background. The solution for is to close it and launch again. All you need to do is double click on the app so the most recent apps appear on the screen. Press the finger on the app and hold on until the icons begin to wobble. On the upper hand of the corner, a red circle with a minus sign pops up so you can press the button to rid the app off the memory. Rebooting a computer, a laptop or a tablet is the oldest trouble shooting tip and comes into rescue when in need. As the primary trial, when there is a trouble with apps, or some other one, reboot the iPad. Doing this gives your iPad a kick to begin all over a fresh by clearing the memory of the applications. Although it might seem strange, if your iPad is unable to connect to the internet, rebooting the router that connects it to the net can help. It is also quite simple, just turn off the router and turn it on again so the router disconnects with the iPad and reconnects with it, making it working again. Or have you found something more serious about the iPad? Knock at our door and we will provide all the help. We are equipped with a team of well-skilled technicians to resolve your issues within the least timeframe. Call VRS Technologies at +971-55-5182748 or go to our website www.vrscomputers and we have a big pool of iPad repair services enlisted for you.